Signs entering the parking lot state Overnight RV Parking is Not Allowed. We stopped by to get some photos and check out the RV parking area. 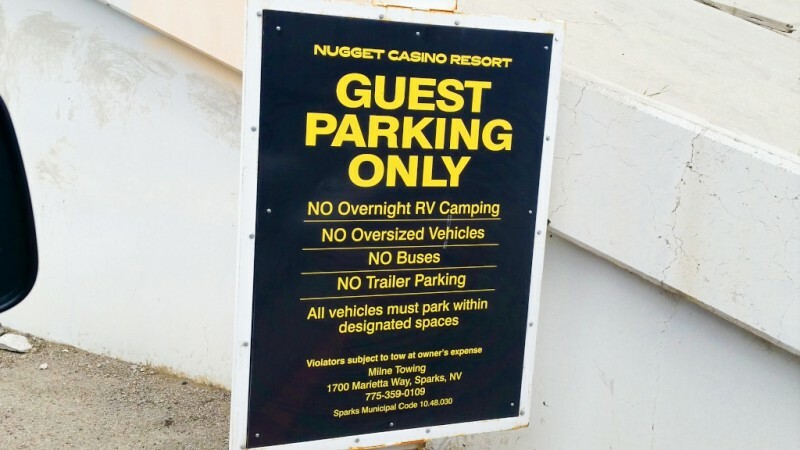 To our surprise, the entrance to the parking lots have a sign stating no overnight RV parking. But I think that's okay. The lot where RV's used to park in is up against the freeway and next to a dozen train tracks. It would be a VERY loud location to spend the night at. 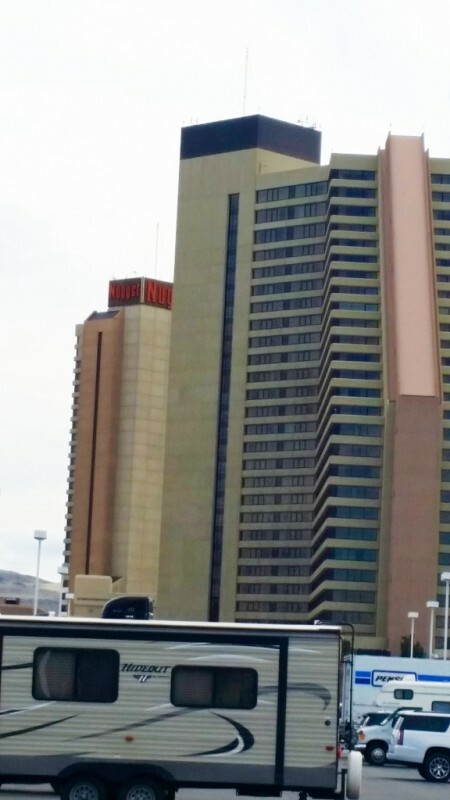 We didn't go in the casino. 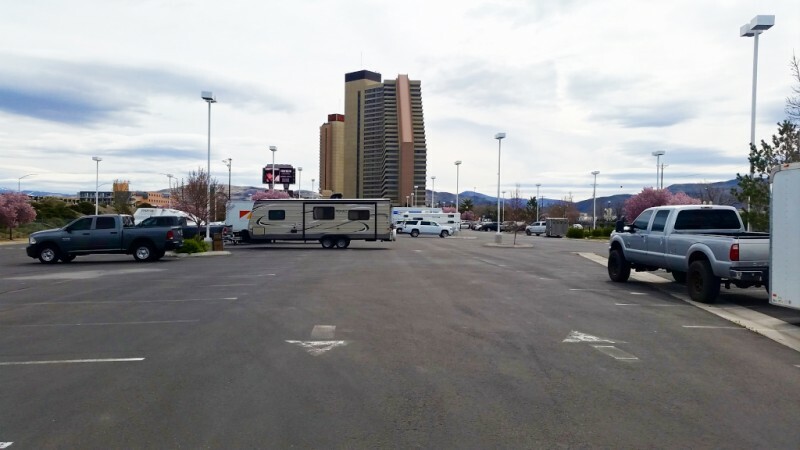 West lot is where the Trucks and RVs park. Noisy between the freeway and train tracks, many lights. Reasonably flat paved lot. 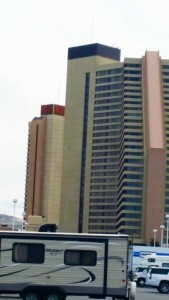 Casino is a couple of blocks away, plus another block in the building. $5 (or more) free play for joining club. Buffet had long line, $17 weekday dinner, not worth it.